I thought the sound of rain I was hearing a while ago was from RainyMood. Turned out it was really raining outside. 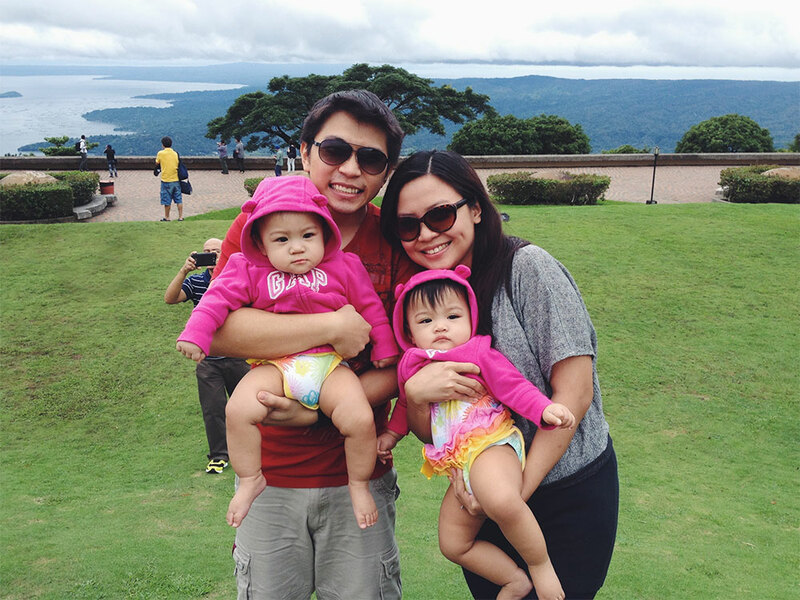 There was this particular rainy Saturday a few weeks ago when Lolo Tatay (from my husband’s side of the family) took us up for the twins’ first Tagaytay trip. I didn’t take a lot of photos, but here are some moments captured with our phone camera. 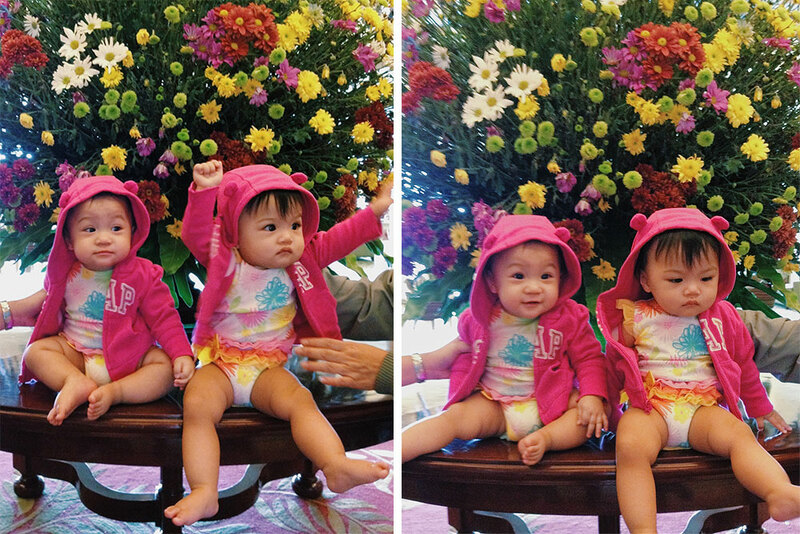 We didn’t know we were going to Tagaytay that day, which explains why the twins were not dressed right for it. 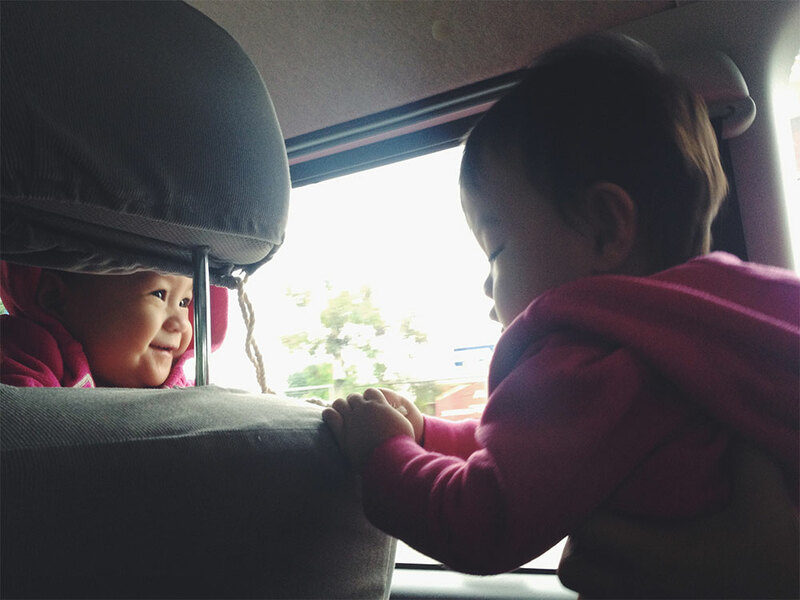 Thank God for their jackets, which we always bring with us wherever we go. For the first time, the effort of carrying those hoodies around finally paid off. The rain poured while we were on our way, and it continued to pour while we were having our lunch buffet and afternoon coffee at Taal Vista Hotel. I don’t like the traffic, the inconvenience, and the floods that often come with rainy days. Not to mention the horrible news about people evacuating because of the floods. But I can’t deny it—I love days like this. I love the sound of rain (it inspires me to write, or do something creative), the cool breeze, the smell of rain, the sight of rain water on wet pavement. And I love rainy days especially when they’re spent with family, a cup of coffee, and maybe a good book. “Rain” is an illustration of blessing and abundance in the Bible. 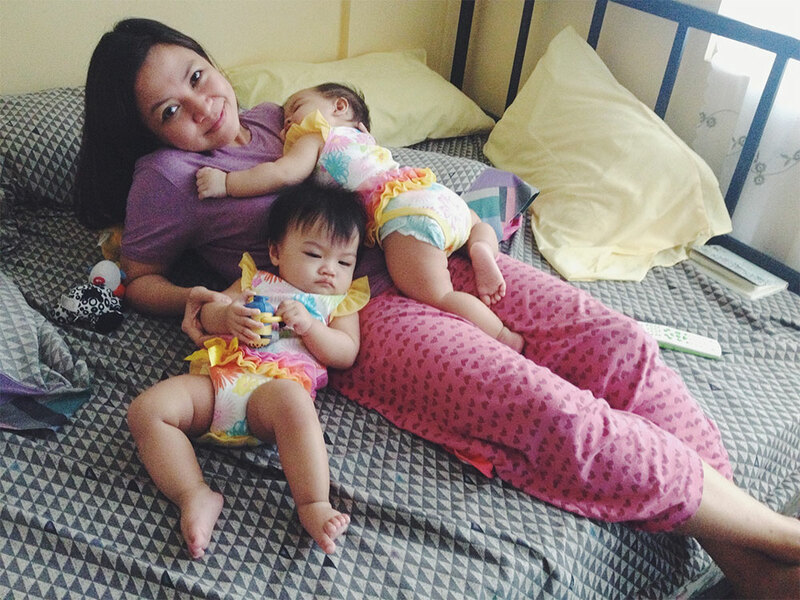 Back when we didn’t know we were going to have twin girls, in fact on that particular day we found out we were pregnant, we already knew that we were going to name our firstborn “Rain”. For real? For real! I suggest you don’t go too far, but go somewhere. If you’re in the south area, go ahead, go for Tagaytay. The point is, get out of the house. Note that this is applicable on rainy Saturdays only, and more specifically, not when there’s typhoon ha. Go on a roadtrip when most people would rather tuck themselves in and curl up in bed. Rainy Saturdays often mean empty establishments and less traffic. I know the usual thing to do is to grab a cup of choco or a bowl of soup on a rainy day. But magnifying the cold by eating something cold works too. Back in New York, my husband loves eating ice cream on a winter day. Just for the thrill (and the chill) of it. Your blog is awesome! :) Thanks for dropping by!